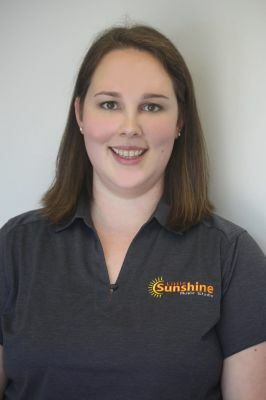 Little Sunshine Music Studio was started in 2017 by owner and licensed Kindermusik Educator, Pamela Willard. After moving back to the Chesterfield area, she saw a lack in educational, musical, and family building programs for children, especially those of stay at home parents. Passionately motivated, she attended Kindermusik University in the spring of 2017. We currently hold both Kindermusik Classes, as well as Storytime Yoga, a creative and fun way to introduce children as young as 3 to Yoga! We also host birthday parties, art nights, and various community support events and groups. Born and raised in Chesterfield, VA, I returned home after attending Virginia Tech, getting married, and living in Greensboro, NC for 3 years. A mother to 2 beautiful girls (3 and 1), 3 dogs and 3 cats. I grew up singing, starting at 4 years old in church and throughout my entire educational career. Although my B.S. is in Animal Science, I have always had a love and passion for children. After my first daughter was born, I was introduced to the world of Kindermusik, where I watched my daughter flourish! Wanting to share this experience with other children, I took it upon myself to open my own studio and to become an educator. I am so passionate about learning through music for kids of all ages! I can’t wait to meet each and every family and help them discover their love of learning with Kindermusik! Kindermusik International is an established community of educators passionately committed to bringing the power of music to children and their families around the world. Since 1978, its research-based music-and-movement curricula have enhanced the lives of millions through the universal language of music, supporting whole-child development and providing the early foundations of future school success. Some Kindermusik classes take place in a private Kindermusik studio, others in an early childhood learning center. But no matter where the music plays, Kindermusik helps develop critical early-learning skills, nurtures the whole child, and—last, but not least—offers hours and hours of irresistibly engaging music-and-movement fun for babies, toddlers, preschoolers, and their families!